A monument commemorates the life that was lived. Memorials reflect the personality, hopes and dreams of those they represent. Double monuments show the love and dedication two people shared. Single markers reflect the individual’s accomplishments. Monuments come in numerous shapes and sizes. They are made of many different materials including various types of granite, marble, and bronze. The shapes can vary from small low markers to large custom shaped structures. There are memorial benches and bronze plates of various sizes. The designs reflect the life that was lived. The designs remind the survivors of who the person was by representing aspects of their lives. Did they like flowers? What hobbies did they enjoy? What was his occupation? Where did she like to travel? Roses may signify love or the love of flowers and gardening. Wheat may represent the prairies or farming or the continuation of life. Designs may be selected from our full selection of previously prepared designs or the artwork can be completely designed and personalized to your specifications. Monuments are for future generations, they are a record of our past. They are for our grandchildren and their grandchildren. Monuments are for life. Today’s monuments are made of materials that have proven to last the test of time. Bronze artifacts have been found that are thousands of years old and granite is as majestic and long lasting as the mountains. These materials can be molded, shaped, and formed into a lasting work of art. Their beauty and un-yielding nature provides a sustaining source of comfort. Monuments and cemeteries record our heritage and provide solace and sanctuary to the living. The dedication of a memorial is the recognition of our past and a representation of people’s traits, hopes, wishes, loves and desires. The choosing of a monument is a very personal decision. The design of a monument encompasses the details of each person’s life. The variety of memorials is as vast as are individual personalities. Monument selection involves many choices. 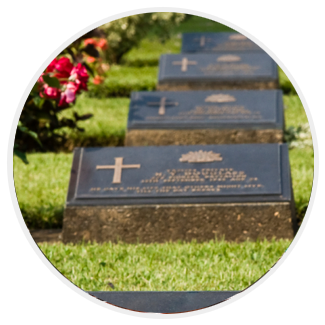 At Binkley’s Funeral Service we are able to guide you in every aspect of your selection. We help you to make the choice that best suits your needs. Our involvement with assisting in monument selection has spanned time for over 80 years. As memorial counselors for Remco Memorials we have the privilege of being able to offer the Remco “No Time Limit” bonded guarantee. This guarantee is like no other, its commitment is as long lasting as the timelessness of the memorial itself. We are proud of our ability to offer this excellent product. The choice for a treasured memory is yours. Selecting a monument is as simple as contacting us for an appointment. We can provide you with a variety of informational pamphlets to assist you in your decision. One way we can assist is by having you complete the following form. It gives us a basic idea of the type of memorial you require. We then take the next step and begin the process of providing a fitting memorial to meet your requirements. We work by your direction, wishes and budget to present you with the options that best fit all of your needs. Please feel free to use the following form as a guide to assist you in making your individual choices. To view monuments options, please visit our merchandise page.